As the Manhattan cut is to the NY strip, so the Eye of Ribeye is to the Ribeye. It is the heart, or “eye,” of the cut, expertly trimmed to a more modest portion to create a sensational, rich and juicy steak. 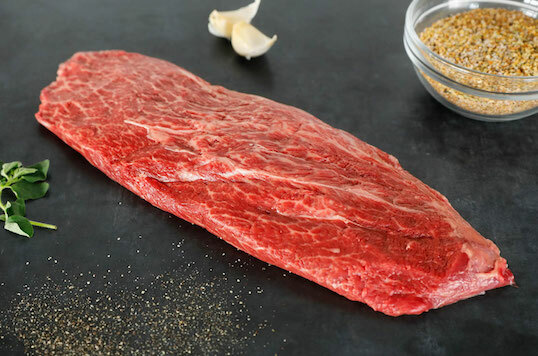 A world-class steak named for a world-class city, the New York Strip has the firmness, short grain texture, and rich beef flavor most people associate with a classic steak. For many steak lovers, the Bone-in Ribeye is the purest expression of steak. It’s everything a remarkable steak should be. It includes the cap and the eye, it’s tender and densely marbled for that melt-in-your-mouth juiciness, and it rates near the top of our beefy flavor spectrum. 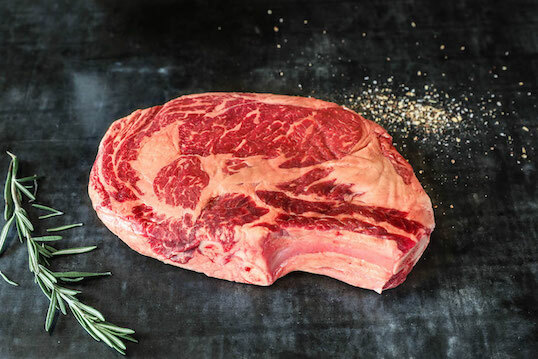 The Cap of Ribeye comes from deconstructing the traditional Ribeye to isolate the “flavor curve” that forms the cap, which we then trim of excess fat. 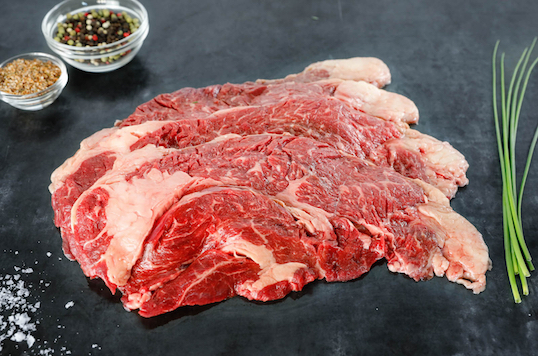 It is an incomparably indulgent cut of extremely tender beef when ranked for richness, volume of juice, and overall beefy flavor. 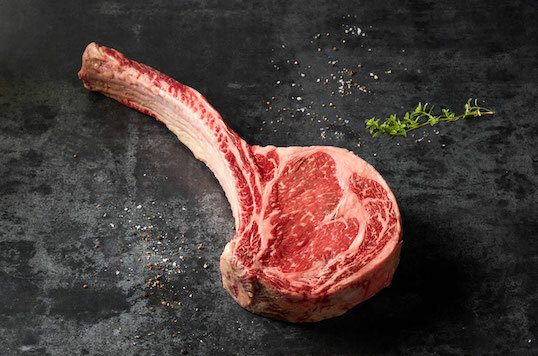 The Tomahawk is a generous cut of awe-inspiring beef that is a Ribeye with the full bone still attached. 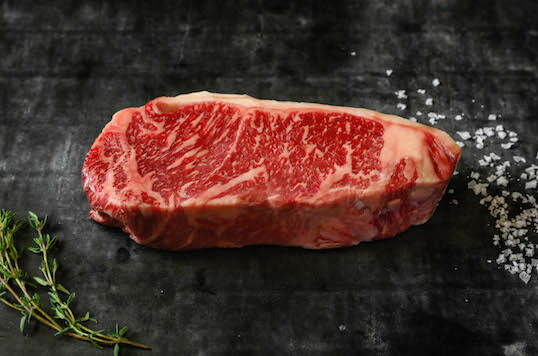 It’s a thicker cut, heavily marbled, with an aggressive juiciness that amplifies the rich beefiness of the best Ribeye. 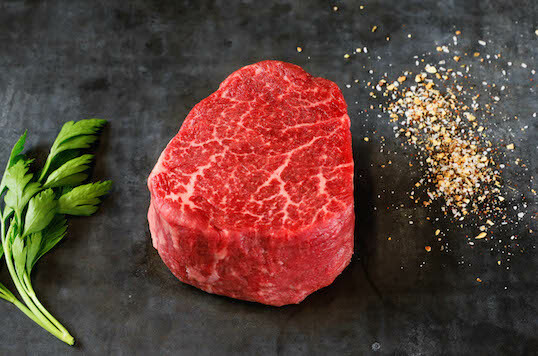 The Filet Mignon is another classic steak, for many it’s the one that needs no introduction. Ours barely needs a knife because it is tender to the extreme, clean and smooth, with a rich, lean beef flavor profile that won’t overwhelm. 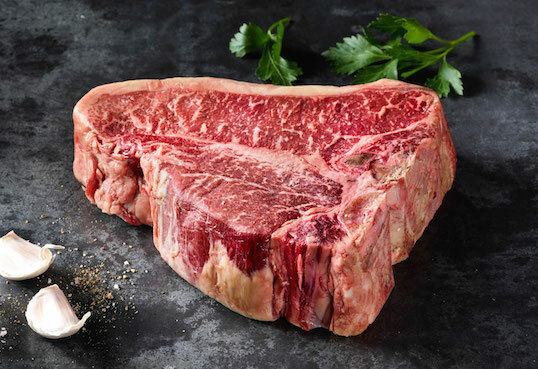 The “Manhattan Cut” version of the classic New York steak is trimmed to traditional steakhouse thickness, but sized for a smaller, modern portion. Clean edges help optimize the searing and caramelizing to create a perfect exterior crust and a juicier, more flavorful interior. The Porterhouse, cut from the rear of the short loin, features a Tenderloin on one side of the bone and NY Steak on the other. It’s leaner overall than the Tomahawk and the 2-for-1 feature makes it a great steak to share. Inside Skirt, similar to Outside Skirt, is cut from the short plate. It’s less marbled, but has a rich beef flavor and is also great for marinades, braising, or sliced thin for steak salads. Cut from the short plate, Outside Skirt is richly marbled with a tight, short grain. 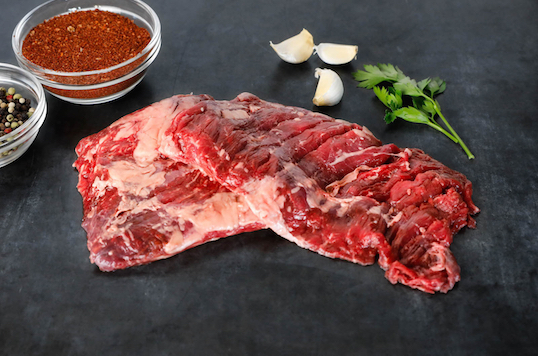 It’s a versatile cut with a strong beef flavor that makes it perfect for marinades, braising, carne asada or fajitas. 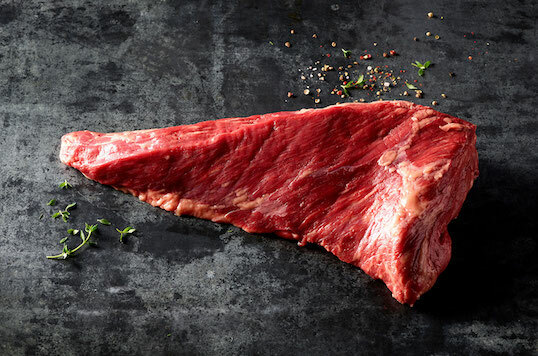 Flank steak is everyone’s choice for a marinating steak. 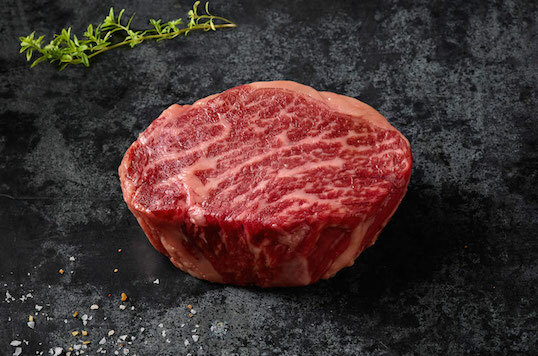 Ours is generously marbled which, paired with its open grain texture, elevates this tender and juicy cut far above the mundane that most people are used to. Zabuton translates to “little pillow” in Japanese and comes from the Chuck area. 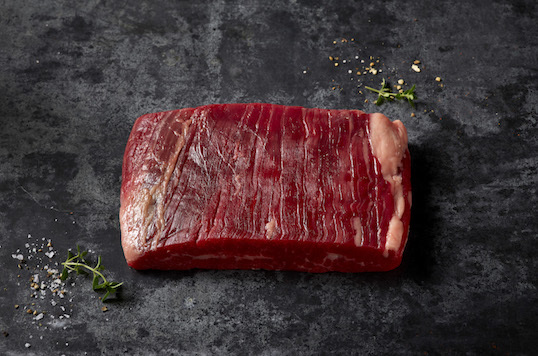 As one of our Butcher’s Cuts, it’s less well known, but also one of the richest most delicious steaks in our portfolio. Thanks to our Mishima Reserve Method, it’s got a perfect balance of tenderness and tooth. 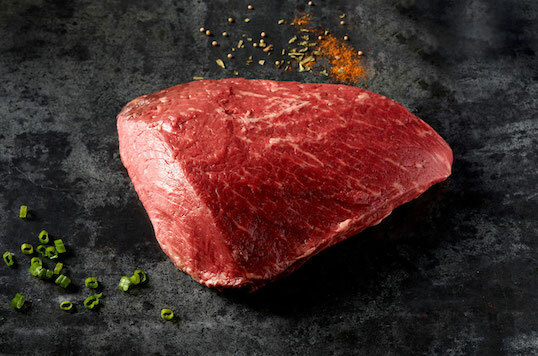 The triangle-shaped Culotte is sourced from the sirloin and qualifies as a small roast, one you can grill whole or portion into individual steaks of varying sizes. 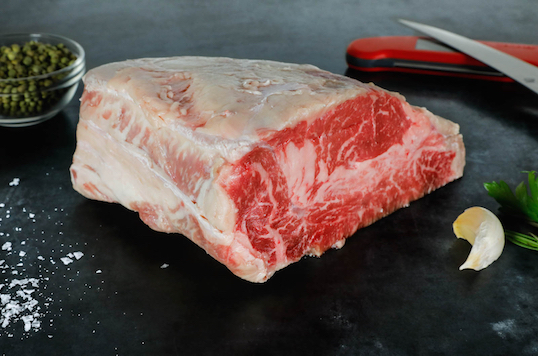 Another Butcher’s Cut, the Culotte is richly marbled, full of beefy flavor, and a great value. If you’re a fan of the French brasserie classic, Steak Frites, then you’ve likely enjoyed this succulent cut. 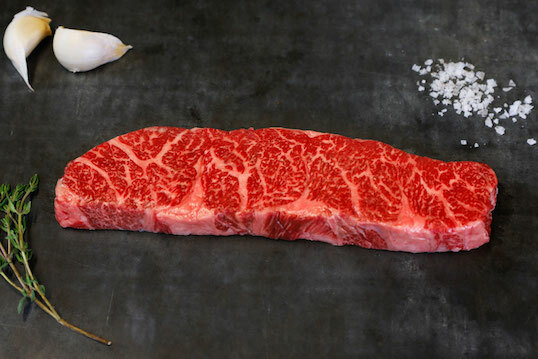 It looks, cooks, and is served like a Flank, but it’s got a juicier, loose-grained texture, thanks to the generous Wagyu marbling. The popularity of the Flat Iron dates back decades. 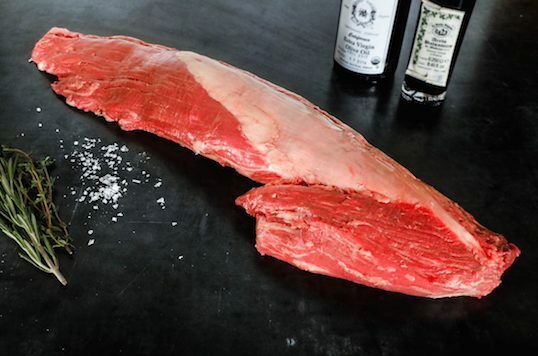 Cut from the shoulder blade, it’s a luscious, beefy cut, and a favorite of butchers. It eats like a New York, but at a price that’s less of a splurge. This bigger version is perfect to share. 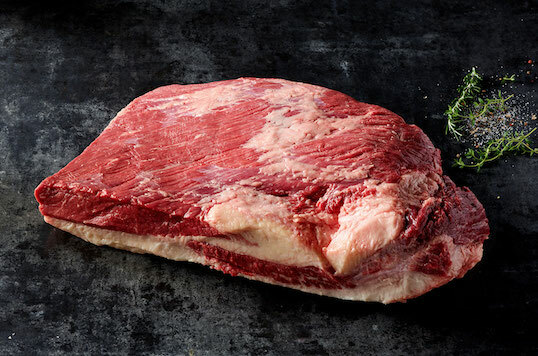 Our Brisket is extensively marbled with a generous fat cap that melts and further enhances the rich flavor of the meat. 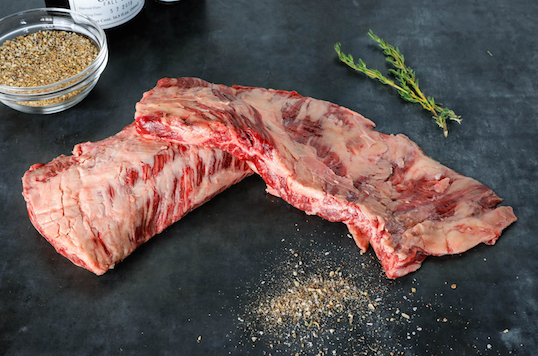 Roast it, smoke it, or make a stew, if loving Mishima Reserve Brisket is wrong, you don’t want to be right. 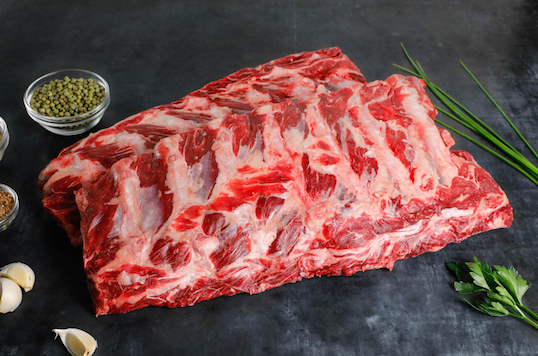 These meaty Back Ribs are what’s left when we cut and trim our rib roasts. Beefy, juicy and tender, slow cooked or grilled, no BBQ is complete without them. 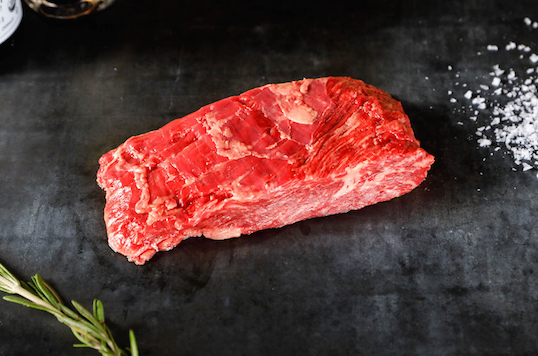 Tri-tip, from the sirloin family, is a triangular-shaped roast that you can smoke or grill whole, or cut into individual steaks. It’s a versatile, medium-marbled cut that’s high on the tender, beefy and juicy scales. The whole tenderloin is one of our most extravagant and tender offerings. 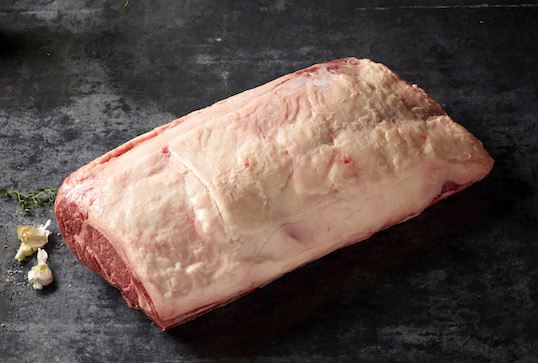 Roast it whole to carve at tableside or create custom filets for grilling. It’s both a brilliant and practical answer to how best to impress a larger dinner party. 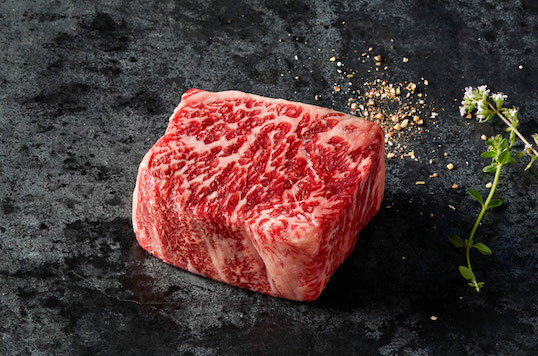 If a bone-in Standing Rib Roast is the granddaddy of all roasts, then our Mishima Reserve Wagyu version is the great, great, granddaddy. Surprisingly juicy and simple to prepare, the result is the most tender and satisfying slices of beef you’ve ever served to guests. The Strip Loin Roast is where New York Steaks are cut from. But when kept whole and roasted, provides an even richer and more tender eating experience, as the juices from the extensively marbled loin are retained. As impressive as it is to look at, that’s only a hint of how incomparably delicious it is to eat. 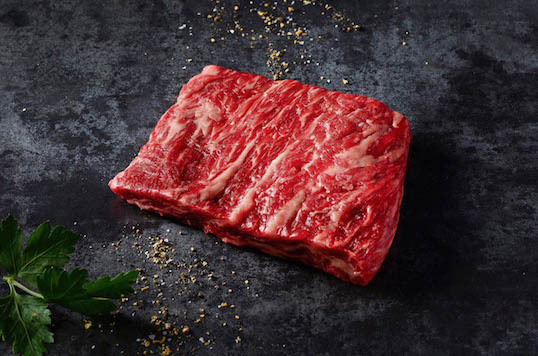 Our Short Ribs are meaty, juicy and tender, perfect for Kalbi or any other dish that calls for a little flair. Braise, broil, grill or roast, they’re extremely versatile. 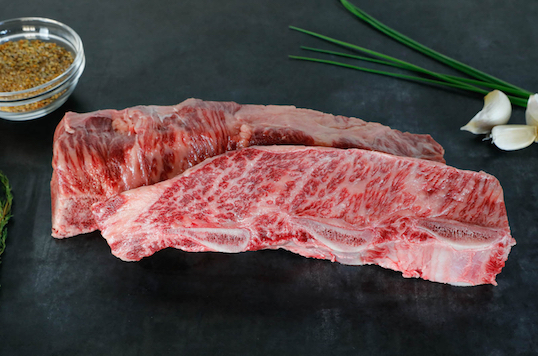 Quite simply, these are the tender morsels that our butchers trim from all of our best cuts of Wagyu. 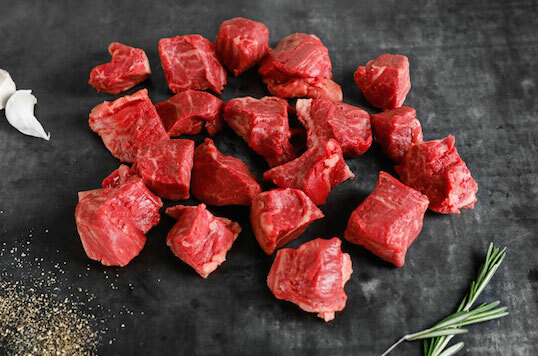 It’s a mix of palate pleasing cuts that are perfect for your beef kebabs and stir-frys. 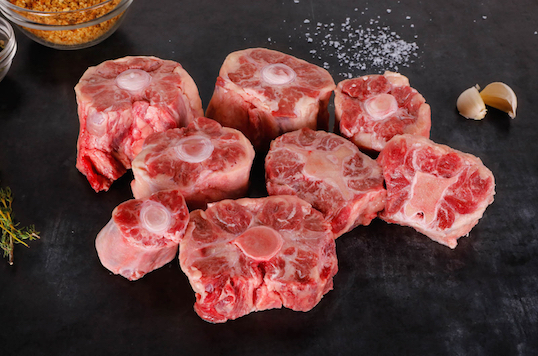 These are the succulent cuts, full of collagen, that help you create that thick and luscious consistency and meaty flavor, perfect for braising and broths. 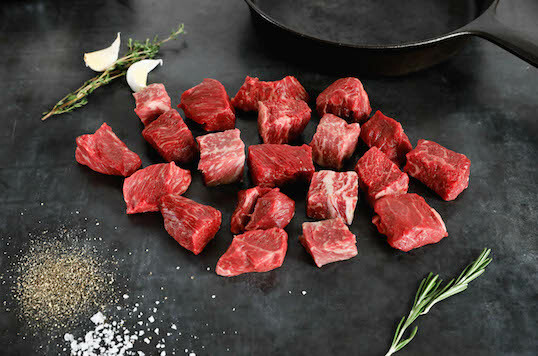 Delectable tips of tenderloin cut and sized perfectly for steak sandwiches, stir-frying, creative salads or world-class nachos. Generously marbled, the Chuck Eye Roll caramelizes beautifully on a hot, searing grill. Its strong, meaty flavor can carry the spices and citrus of marinated dishes, and it’s the perfect ingredient to create the richest Carne Asada or other spicy beef dishes. 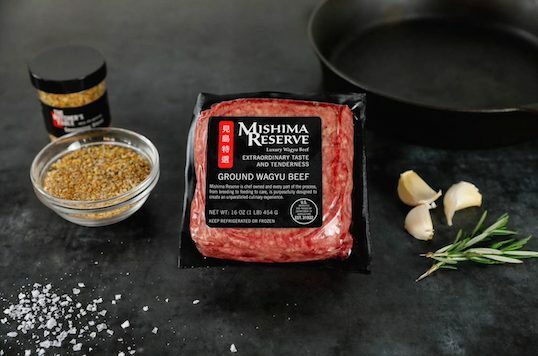 Mishima Reserve ground beef simply makes for the most luscious and flavorful burgers ever. The marbling melts and helps create a perfect crust, sealing the juices into the patty, until that first, mind-blowing bite.